Central Park will be the venue for Denbigh's last game of 2018/19 season as we welcome Llanrhaeadr YM .
" It has been an up and down season for us this year with some brilliant highs such as the 3-2 win against Bangor in August, the 2-1 win against Rhyl in the Huws Gray League Cup and the Boxing Day 3-0 victory over local rivals Ruthin but some of the heavy defeats such as away at Porthmadog have been devastating." Matty and Dewi are proud of the fact that so many local players have represented the club during this campaign and have thanked all the committee, volunteers and fans for their support. Hopefully we will still be playing in Tier 2 next season. Despite our recent poor run of results it is NOT impossible. Matty added " We hope to put out a strong team on Saturday although Harley Steel will miss the match after being sent off in the game on Tuesday night"
Denbigh must win on Saturday to have any chance of hauling themselves out of the bottom three for the end of season reckoning.If we do win we will have to sit and wait for other results to come in. Penrhyncoch and Holywell can finish in bottom three and join Holyhead Hotspur if, for example, these two teams draw when playing each other and lose all their other games in hand. 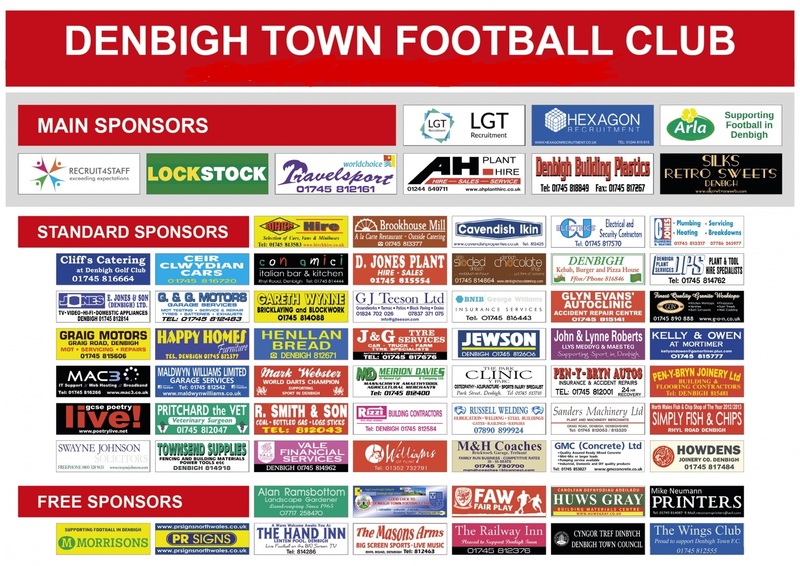 There were so many chances in Denbigh's last game and on another day we could have scored three or four goals. We can win this last game.